Would you like to organize an unforgettable party, make a lasting impression to your customers or hold a meeting in an inspiring environment right by the sea? Hiiohoi creates carefully designed, high-quality events in several breathtaking venues around Finnish archipelago. Our events typically include a refreshing sea voyage, authentic and atmospheric venue, lots of carefree time together, and enjoyable culinary experiences. Add in activities that fit to your company’s need. How does a sailing competition, RIB boat safari, fishing trip, beer or wine tasting, or relaxing evening in a scenic sauna sound to you? Get in the mood and find the unique possibilities of Finnish archipelago by watching a short video about the real Hiiohoi experience. We have gathered information about the most popular activities below – contact us and we will create you a tailor-made experience. A UNIQUE SETTING in the middle of the open sea. Experience the astonishing atmosphere of the open sea. The former Kallbådan lighthouse stands on a rocky islet in the Baltic Sea near Porkkala. The lighthouse that used to be occupied by the Soviet Union, has now been renovated to its former glory, for the first time after World War II. A visit to the lighthouse is a rare experience, as due to its surrounding seal protectorate it is not allowed to go ashore without permission. The Kallbådan lighthouse offers unique atmosphere and excellent premises for board meetings, important customer events, or for the rewarding of your team. Depending on your wishes, the trip can be carried out also in a more relaxed camping setup. You can find Kallbådan's presentation video from below. Let the beautiful view open your senses. Let’s set sail and steer towards the astonishing archipelago of Helsinki. Shortly after leaving the hectic city life behind, you will feel relaxed and ready to receive new tastes and aromas. What would be a better occasion for a wine or beer tasting? A wine or beer tasting at the sea is an excellent way to impress your customers or offer your personnel recreation and entertainment. Our skilled sommeliers select the drinks and make your group acquainted with the captivating world of wines, beers, or any other spirits you would like to learn about. This unforgettable experience will be topped off with a tasty dinner and fun evening program at one of our several islands destinations. Archipelago’s unique peace and scenic marine landscapes clear up the thoughts and create an inspiring atmosphere for all management meetings. A delicious lunch and coffee serving give a great boost for the meeting. After day’s more formal part, your team can enjoy a relaxing evening program with a tasty dinner, beer tasting and sauna – or just admire the beautiful nature and the waves of the Baltic Sea. Our venues have all technical capabilities and facilities to arrange meetings that answer for the highest demands. Experience the atmosphere of the magnificent archipelago. Hiiohoi’s popular summer parties start with a relaxing cruise through the astonishing archipelago. In the venue, attentive service will be waiting for your arrival – expect for ice-cold drinks, hot sauna, delicious dinner and the artist of your choice getting ready to perform. Enjoy the exceptional atmosphere of the Finnish summer nights and the relaxing sound of waves in the middle of the beautiful archipelago of Helsinki. Step on the deck, set the sails and start the contest to win the best winds! Hiiohoi’s sailing competition lifts the spirits and creates a genuine and exciting marine battle in a relaxed atmosphere. Sailing competitions can be organized for both smaller and larger groups – if needed, we can fit in more than 100 people. Hiiohoi organizes sailing competitions as longer, whole day adventures and shorter half-day competitions. You do not need previous sailing experience – everyone can participate to this sport. After the competition, a hot sauna and delicious dinner will be waiting for the hungry competitors. And you can be sure that there’s a whole lot to talk about! Fresh sea air along with a good catch does wonders when you want to strengthen your staff’s team spirit or get your customers committed. The morning or day will be spent fishing, with a tasty lunch served on a nearby islet. After the day’s activities, we will arrive at one of our island venues, where our esteemed chef prepares you a delicious dinner – perhaps even of the catch of the day. We recommend that you reserve enough time for the trip, so you can enjoy the fishing without hurry. As the evening sets, you can finish the day with a relaxing sauna or even a beer tasting. Fishing trips can be organized outside the summer season as well. If an early morning start does not fit to your plans, it is possible to start the fishing trip later, at any time of the day. Genuine and pure flavors are an essential part of all the events we organize. We are huge friends of good food and delicious drinks, and for us, it’s a matter of honor to produce catering services of excellent quality. Thus, we work only with the best professionals in the field. 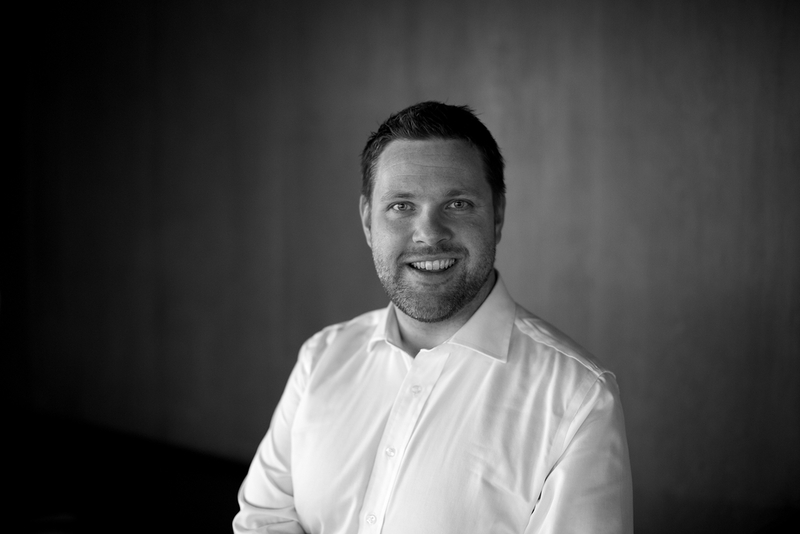 Antti Uusitalo is an award-winning Finnish sommelier, who has worked in wine business for over ten years. He has been employed by several famous Finnish restaurants, such as Elite, Havis Amanda and G.W. Sundmans and, for the last ten years, by the legendary Restaurant Savoy in Helsinki. In our wine tasting, you have the chance to get acquainted with wine, champagne, and other beverages. The events are relaxing and cosy, and at the same time, you will learn a lot of the world of wines. By combining the tasting with a dinner, you can find out new aspects in food and wine pairing. Mikko Salmi is a trained professional and beer expert. Beers brewed by Mikko are available, e.g., in the Restaurant & Brewery Teerenpeli and the Restaurant Hollolan Hirvi. Mikko’s articles about beer are published in several magazines. The tasting leads you into the fascinating world of beer and is an excellent programme of an event organised for your team or customers. The taste experience is finalized with a dinner which is designed to match the beer tasting. We have several transportation alternatives available. You can choose e.g. a sailing boat, water bus, water taxi, RIB boat, jet ski, or even a helicopter. According to your needs, we will offer you the best options for your event. We are also happy to give you more information about the different transportation alternatives. At Hiiohoi, our love for the sea and archipelago merges with our profound expertise in organizing corporate events. We create memorable experiences in the unique island venues. Relaxed encounters by the marine nature, fun experiences and delicious flavors offer a chance to let go and focus on the essentials. An exclusive event helps you to create a stronger bond with your key people and customers. We are at your service right from the beginning – you can focus your recourses to your core business, relax and enjoy your time. Our network of talented and dedicated people helps us to create an unforgettable event that answers to all your wishes. We offer high-quality event planning and production throughout the year. The season for our marine events lasts from May to Christmas, and during the winter time we bring our know-how back to the mainland.